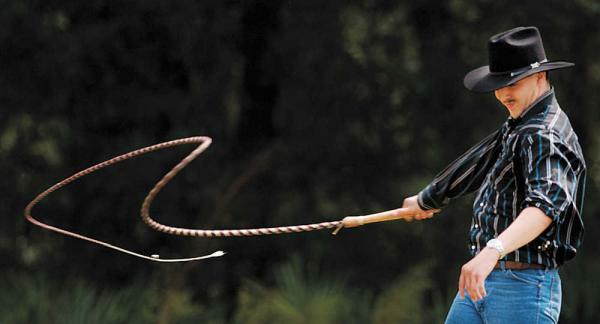 How & why does a whip make a cracking sound ? what happens when an aircraft travels more than the speed of sound ? Does everything remain normal ? I guess NO. Fighter jets are specially designed for that – powerful weapons, missiles & high speed. So here we will talk about what happens when an aircraft travels more than the speed of sound or breaks the sound barrier ! In fluid dynamics, the Mach number(M) is a dimensionless quantity representing the ratio of flow velocity past a boundary to the local speed of sound. If an object travels at speed of sound, it will be called as Mach 1; likewise if the object is travelling at the speed double of sound, it will be called as Mach 2 & so on. The speed represented by Mach number is not constant as the speed of sound depends upon the temperature & the altitude at which aircraft is flying. The Mach number is named after Austrian physicist and philosopher Ernst Mach, a designation proposed by aeronautical engineer Jakob Ackeret. Here are some things which we are not able to see, observe or experience everyday. The name – it’s cool. We are gonna come across one more cool word later in this post. A shock wave is a type of propagating disturbance. When a wave moves faster than speed of sound, it is called a shock wave. Like other ordinary waves, it carries energy(immense) & can travel through any medium – solid, liquid, gas & plasma. It is characterized by an abrupt, nearly discontinuous change in pressure, temperature and density of the medium. Shock waves arise at explosions, detonation, supersonic movements of bodies, powerful electric discharges etc. This shock wave is sometimes the “father of destruction”. The greatest example is the atom bomb dropped on Hiroshima & Nagasaki. The shock wave had so much energy that the area within couple of miles were instantly vaporised. Watch the shock wave coming towards the camera after dropping a bomb ! A vapor cone, also known as shock collar or shock egg, is a visible cloud of condensed water. It is typically observed around an aircraft when it is flying at transonic speed(Mach 0.8 – Mach 1). When the pressure drops around a object so does the temperature. In case of aircrafts, the cloud is caused by supersonic expansion fans decreasing the air pressure, density and temperature below the dew point. As the temperature drops below dew point, a cloud is formed. This is the word I was going to talk about. 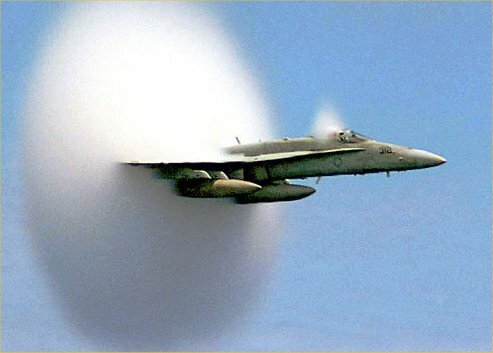 A sonic boom is a sound associated with the shock wave created by an object travelling through air faster than speed of sound. They create enormous amounts of sound energy, much like explosion. holy crap ! somebody just give me a fighter jet 🙁 !! !